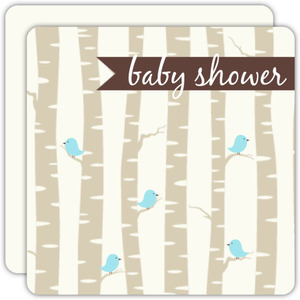 Why not celebrate the mommy-to-be with a cute owl themed shower? 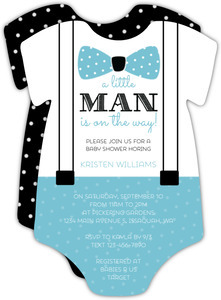 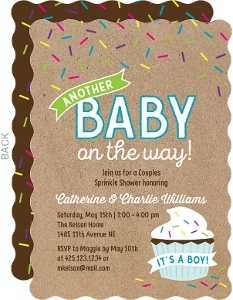 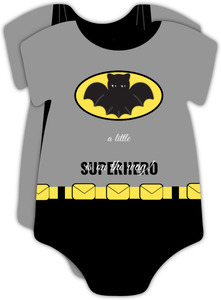 These cute invites are the perfect accompaniment to a baby shower for a boy. 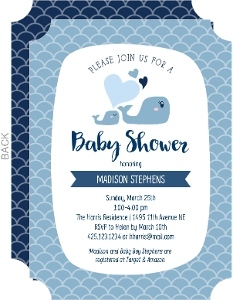 The background of this card is a soft cream color with a light blue border at the bottom and a blue owl on the left with a speech bubble that says "look whoos having a baby boy!". 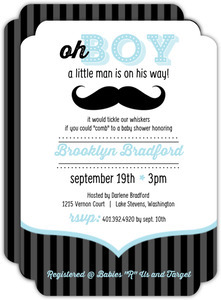 To the right, fun typography in accenting white, blue, and brown. 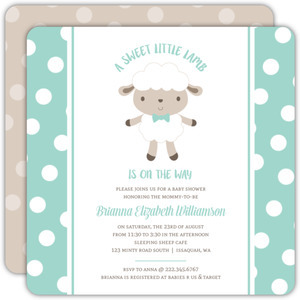 The back is a postcard back, making sending invites just a little easier on the host and includes the registry information on the left. 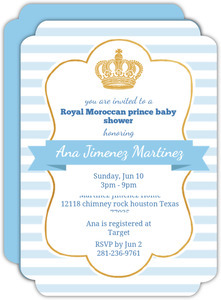 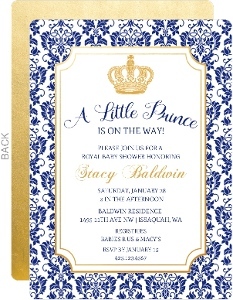 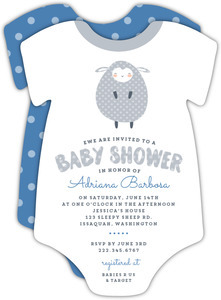 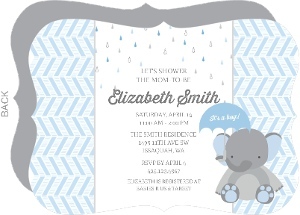 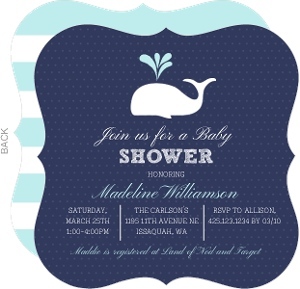 You can easily personalize this Cream and Blue Owl Baby Shower invitation in our InviteShop design center. 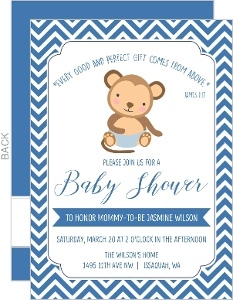 This Cream and Blue Owl Baby Shower invitation is one the of the many designs in our Boy Baby Shower Invitations collection. 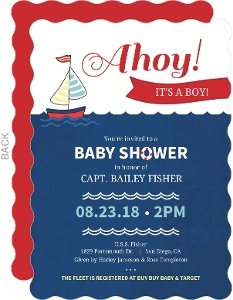 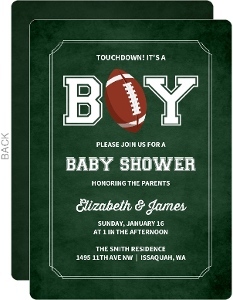 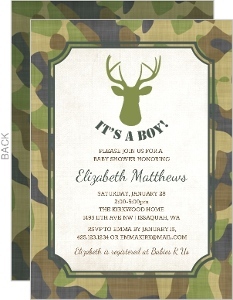 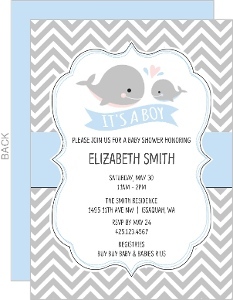 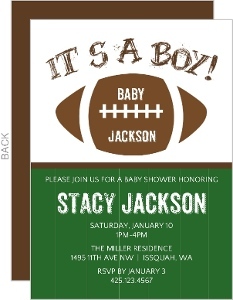 If you don't see a design in our Boy Baby Shower Invitations collection that you like, please let us know what you have in mind and we will be sure to add it as we refresh our collection.